In your opinion, How helpful are internships / externships to students in getting a job? Ed4Career is proud to announce the second posting our series of "In Your Opinion" polls; where your opinion counts and your voice can be heard. Are you an advocate for the health of our planet and the future of mankind? Do you want to practice sustainable thinking? Are you ready to dive into one of the fastest growing and innovative industries in the market? Internships and externships are both types of work experience that offer participants the opportunity to learn and gain experience in a chosen field. The differences between the two types of hands-on training are subtle; the main differences are often the duration of the training and payment for the positions. Ed4Career understands the way adults want to learn and how they learn the best. We currently offer one of the largest proprietary career certification catalogs available on the market today and in our ongoing desire to offer the best we are constantly updating and improving our courses and our course selection to offer Best of Breed. In your opinion, can online learning be as effective as classroom learning? Ed4Career is proud to announce our series of "In Your Opinion" polls; where your opinion counts and your voice can be heard. I’ve always thought of myself as fairly competent in the time management department. However, ever since entering the social media forum, I’ve realized more and more how easily too many tasks can distract me. For example, while writing this post I’ve a) checked the company's Facebook account b) Re-tweeted two relevant articles c) straightened my desk…well, you get the picture. There are distractions everywhere! We’ve already discussed how online courses can give students the flexibility to take their class anytime, anywhere. While it’s great that an online course can be worked around a full time job, kids and their activities, and so forth - without a set schedule or face time with instructors, the trick is staying on top of those courses. An online student is left to set their own schedule. As students, we all have our own type of learning style. Our learning style defines how we take in, understand and process information as well as impacts our ability to problem-solve. Most of us have more than one learning style, but there is often one dominant method that we relate to more than the others – a personal combination that is uniquely ours. It’s important to note that no one learning style is superior to the others. In fact, we should always work at developing our less dominant styles to help us adapt to all types of instruction. Understanding your own personal learning style will help you determine the most optimal way for you to study and take in new information. Online courses offer both convenience and flexibility, making eLearning a great way to meld your busy lifestyle with your educational goals. You are not bound by either time or physical location – you make the choice as to when and where you study and participate. 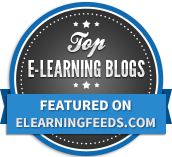 In essence, online learning offers you education at your fingertips anywhere, anytime! Our courses have been developed for use by individuals, colleges and corporations and we are always growing our catalog of offerings.